A guide to experiencing a few of the local eats residents love most, one bite at a time. There are few better ways to immerse yourself in a destination than dining your way through it. Hawaii is no different. The diversity of food found in the Hawaiian Islands today is the result of multiple origins—among them, the indigenous Hawaiian culture, dozens of multicultural influences, and modern-day cuisines from around the world. 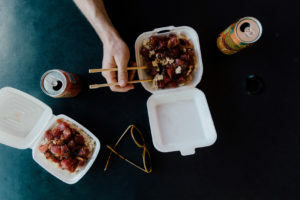 Although the Islands offer their fair share of prestigious dining options, one of the best ways to understand the cuisine is to check out local favorites including the most popular and beloved food-truck, hole-in-the-wall, and hidden-gem eateries. Spaced between all of your hikes, beach stops and relaxing getaways, you’ll need a reliable list of local eateries to refuel your adventures. Fortunately, it’s easy to find and taste fresh, local-favorite comfort foods in the Islands. A common thread across the eateries spotlighted here is the use of locally-sourced products and ingredients, whether in support of local farmers, ranchers and fisherman; to promote overall environmental sustainability across the Islands; or simply because fresh and local tastes best. 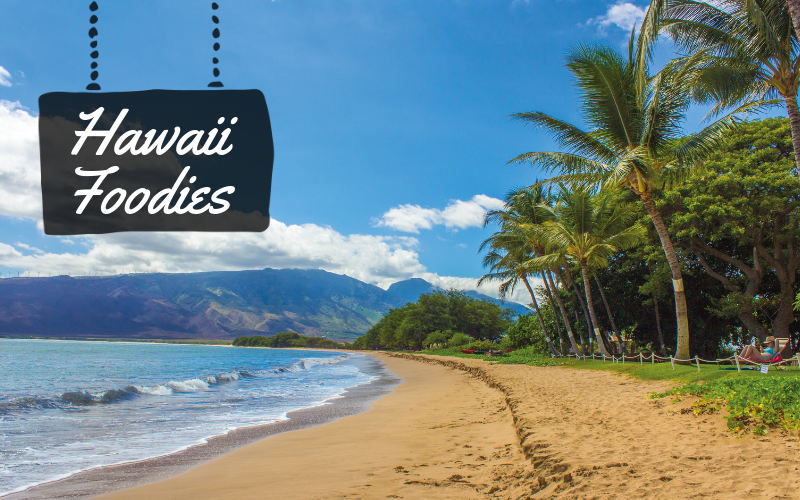 This round-up includes several intriguing places to eat for different types of foodies and food moods, so you can try Hawaii’s ethnically diverse cuisine one plate at a time, from Kauai to the island of Hawaii. Eat, drink and enjoy! Some hole-in-the-wall joints and online sensations actually live up to their foodie hype. If loco moco is on your mind, travel to Hilo, the island of Hawaii town where the local-favorite comfort food dish was invented, and head to Cafe 100, which offers more than a dozen tasty loco moco options, none of which disappoint. 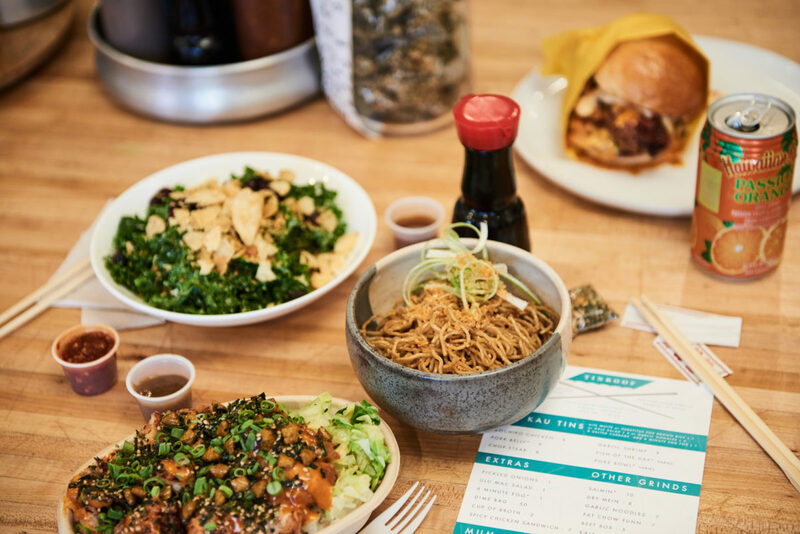 A tasty stop on Maui is Tin Roof, owner-chef Sheldon Simeon’s new generation mom-and-pop takeout place serving heaping meals-in-a-bowl inspired by Hawaii’s multitude of cultures and featuring a menu of notable specialties, including mochiko fried chicken and pork belly bowls. On Oahu, mix and match sensational local flavors of fresh poke at Ono Seafood, where you’ll find locals and visitors queuing up for made-to-order shoyu and spicy ahi poke. On the way back from adventuring at Waimea Canyon, don’t miss Porky’s Kauai food truck in Waimea town for some smoky aloha in a bun. With only three items to choose from, the menu is easy to navigate, but each option is a customer favorite with hearty portions of slow-roasted kalua pork. The plate lunch concept originated back from the plantation days where workers from Japan, China, Korea, the Philippines, Portugal, and other areas, brought a hearty lunch to sustain themselves at work. Eating a plate lunch today is like eating a scoop of Hawaiian history, with the delicious mixture of cultural cuisines. Broke Da Mouth Grindz is tucked in a small, out-of-the-way shopping center in Kailua-Kona’s industrial area on the island of Hawaii, but its garlic furikake chicken deserves all of its fan hype and is worth searching out. Though Da Kitchen Café gets creative with a menu of specialty loco moco and sides like deep-fried Spam musubi, it also offers some of the best—and largest—plate lunches on Maui. On Oahu, Helena’s Hawaiian Food has been serving up quality traditional-style Hawaiian cuisine—including pipi kaula-style shortribs, laulau and squid luau—to Honolulu customers for more than 72 years. If your food travels take you to Kauai, stop in at Mark’s Place in Lihue for fast, affordable and ono (tasty) local-style comfort food. One of its most-popular plates is packed with the Hawaii comfort food staples chicken katsu, teriyaki beef and beef stew, with sides of rice and potato macaroni salad. Hawaii’s agricultural crops benefit greatly from the Islands’ nutrient-rich volcanic soil. Embark on your farm-to-table journey at local-favorite spots like Sweet Cane Café on the island of Hawaii. Ever sipped on sugarcane juice, or cane-juice-based smoothies and slushies? You will at Sweet Cane, which also offers delicious, nutritious and organic farm-to-table eats. Menu items at A’ARoots Maui are strictly vegan and locally sourced, and include savory bowls, salads, smoothies and juices that don’t disappoint. Whether you’re vegan or not, A’ARoots aims to change the way you view vegan cuisine. ‘Ai Love Nalo is a plant-based restaurant in the Oahu town of Waimanalo that sources from local farms, crafts its dishes from scratch and is passionate about promoting health and wellness in its community. On Kauai, Verde serves 100-percent grass-fed beef raised on island, antibiotic and hormone-free chicken, and pork from local farmers and producers. When exploring historic downtown Hilo, head to Moonstruck Patisserie for a cup of espresso, bites of the bakery’s delectable desserts and the right amount of sugary sweetness to uplift your day. Ready for chocolate aficionados, Maui Specialty Chocolates in Kahului is best known for its fresh and fluffy chocolate-filled mochi. On Molokai, Kanemitsu Bakery’s famous hot bread—served warm and filled with gooey, sweet cream cheese, butter and fruit spreads—has for decades kept fans (and the just plain curious) trekking a dark Kaunakakai town alley most nights for a taste. The experience is still best on Molokai. But you can now purchase hot bread from a Kanemitsu Bakery food truck roaming the island of Oahu as well. Wailua Shave Ice on Kauai serves Hawaii-style shave ice topped with syrups made from fresh local fruit and no artificial flavors, dyes or high fructose corn syrup. 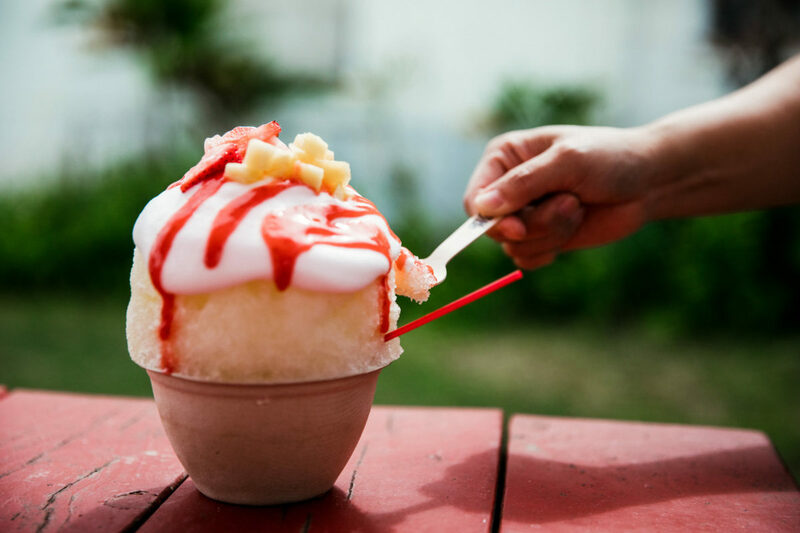 Order the Lava Flow, a popular shave ice pick crafted with pineapple juice, strawberry puree, and toppings of coconut foam, pineapple and strawberry. The International Market Place has partnered with Waikiki Trolley to launch the trolley company’s first new line in six years: the Honolulu Dining Express. The new foodie-focused route will run daily, with departures starting at the International Market Place’s bus depot. Before jumping on the trolley, you can enjoy pau hana (after work) specials at the International Market Place’s third-level Grand Lanai chef-driven restaurants then join the tasting tour of other Oahu favorite eateries around Waikiki and on Kapahulu Avenue, including Side Street Inn, Leonard’s Bakery, Haili’s Hawaiian Foods, and Rainbow Drive-In. Riders embarking from the International Market Place will receive a Passport to Shopping discount book. Hungry for Hawaii? For more information about the Hawaiian Islands, visit gohawaii.com.